Critical information infrastructure forms the backbone of modern society. Industrial control systems (ICS) are an important part of the critical infrastructure, unfortunately not enough emphasis has so far been put on them even though cyber attacks on ICS have increased significantly in the recent years. Cyber security plays an important role also in the Internet of things (IoT) that is in the network of physical devices, vehicles, home appliances and other equipment embedded with electronics, software, sensors, moving parts with network connectivity to communicate and exchange data. Experts estimate that the Internet of things will consist of more than thirty billion items in 2020. The conference focuses mainly on current topics in the security of ICS and the Internet of things and other related topics. The conference follows on from previous events on security organised under the Future Forces Forum (FFF), creates the unique forum for both partners and participants to discuss and share information and experience in the ICT and cyber security areas. It will also look for alternative solutions of the issues on hand, in particular by engaging world-renowned professionals in security of ICS systems. 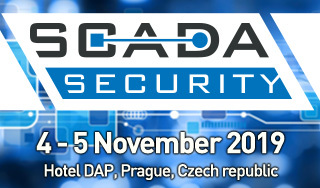 The conference focuses on the security, operational and IT community of the critical infrastructure, public sector, armed and security forces, academia and private sector taking part in the projects of protecting the critical information infrastructure, with more attention given to the current topics in cyber security. © 2010 – 2018 Future Forces FORUM Prague, All rights reserved.